Questions about Kichler Lighting 5098OZ? 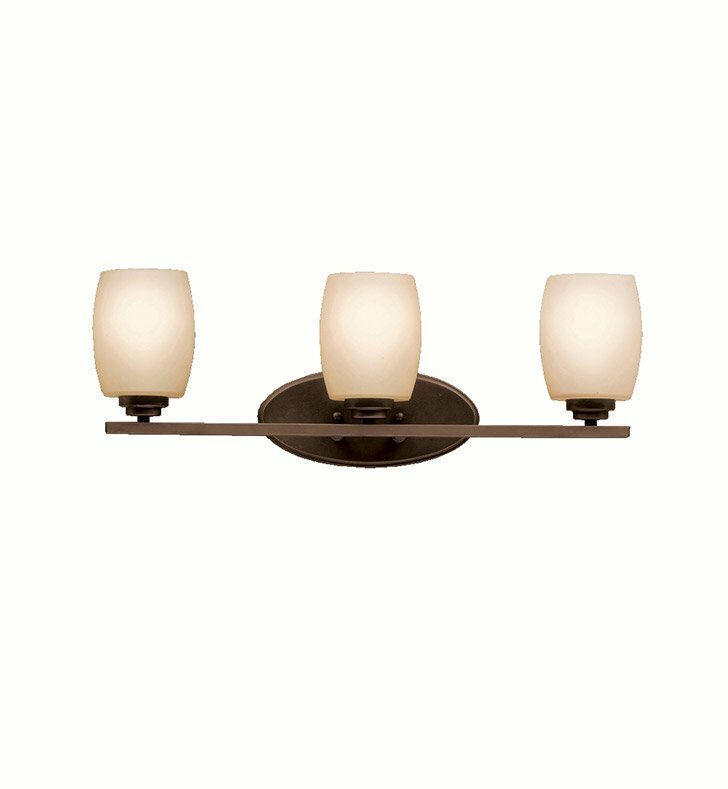 Named after famed furniture designer Eileen Gray, this 3 light wall fixture from the Eileen collection features a clean, straight linear construction. The clean, polished elegance of the Chrome finish and Etched Opal Glass creates an ideal complement for your home. Dimensions: H 9 1/4" x W 24"